Susan Williams, soprano, was appointed Assistant professor of Voice at the University of Alabama in 2013. She has performed nationally and internationally in a wide range of leading opera roles and as a vocal soloist. Most recently (Dec/Jan 2014-15), she traveled to Kolkata, India to perform concerts at the Oberoi Grand Ballroom, St. Paul’s Cathedral, and The U.S. Consulate, Kolkata and to Havana, Cuba (March 2015) where she worked with students at the Instituto Superior de Arte. She has toured a unique multimedia recital of works from Hugo Wolf’s Italienisches Liederbuch entitled “We Have Both For A Long Time Been Silent” with colleagues Dean Southern (Cleveland Institute of Music) and Jeffrey Brown (Western Illinois University) at the Cleveland Institute of Music, Malone University, Lipscomb University, Ohio Northern University, The University of Alabama, and Armstrong Atlantic University. In Florida, she was soprano soloist in Mozart’s Requiem with the Master Chorale of South Florida, Mahler’s Fourth Symphony with the Frost Symphony Orchestra, and Brahms’s Liebeslieder Waltzes for Miami’s Mainly Mozart Festival. With the Duke Symphony Orchestra, she has sung Despina in Così fan tutte, Gretel in Hansel and Gretel, Barbarina in Le nozze di Figaro, and Sophie in excerpts from Richard Strauss’s Der Rosenkavalier. 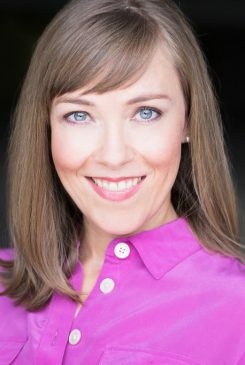 For Opera Birmingham, she sang the Erste Knabe in Die Zauberflöte and the title role in over 30 performances of Barab’s Little Red Riding Hood. She toured northeast Ohio with Lyric Opera Cleveland’s Overtures and with Cleveland Opera as Adina in The Elixir of Love. Under the baton of Franz Welser-Möst, she performed in The Cleveland Orchestra’s production of Le nozze di Figaro. She has been a soloist with the Akron Symphony, the Cleveland Pops Orchestra, the Cleveland Bach Consort, and the Johnson City Symphony. In Graz, Austria, she sang the soprano solos in Mozart’s Coronation Mass and was a finalist in the Meistersinger Competition at the American Institute of Musical Studies. A graduate of Birmingham-Southern College, she earned the master’s degree at the University of Akron, and the Doctor of Musical Arts degree at the Cleveland Institute of Music under the guidance of Mary Schiller. At Vanderbilt University, she was a 2013 member of the prestigious NATS internship program where she worked under master teacher Kenneth Bozeman. Prior to her appointment at the University of Alabama, Dr. Williams was a member of the voice faculty at the University of Miami’s Frost School of Music. Her scholarly interests include using body movement systems and the use of virtual anatomy to enhance student learning in the studio. Her article “3D Virtual Anatomy Technology in the Voice Studio: A Pilot Study to Evaluate the Functionality and Limitations of Visible Body®” can be found in the Journal of Singing Volume 69, Number 4, March/April 2013. Dr. Williams began practicing yoga in 2001 and earned her RYT 200 level yoga teacher training certification at Samahita Retreat in Koh Samui, Thailand June 2014.